We have been an Allen & Heath dealer and service centre for many years and are delighted to announce that we have taken delivery of the new SQ and dLive series surfaces and mix racks and expanders. 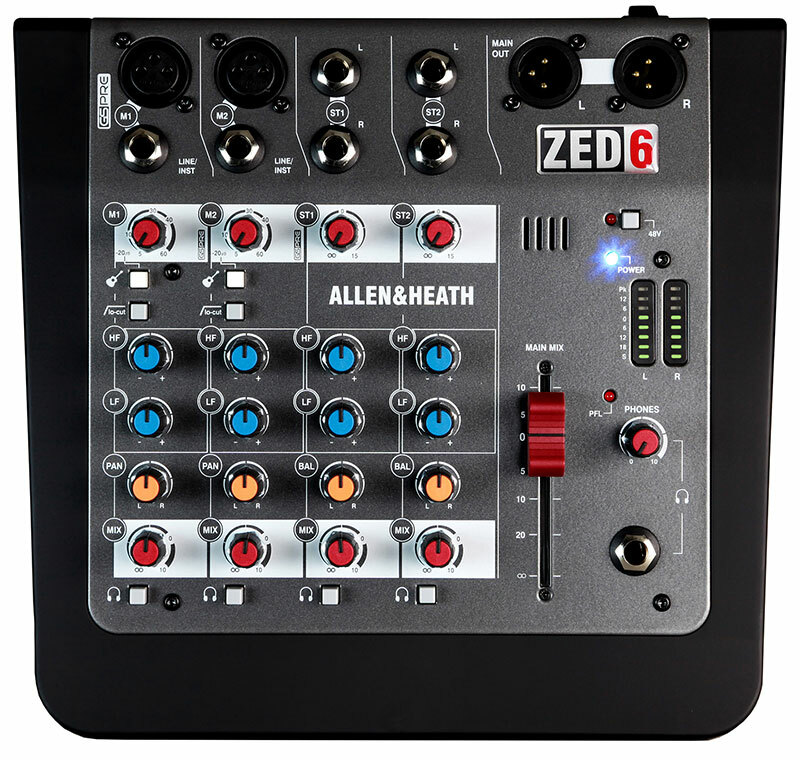 We also have a range of other Allen & Heath digital mixing consoles and surfaces for hire and purchase including i-Live, GLD and QU series consoles. Looking to hire a another brand of console? Call us with your enquiry on 01732 373920. Built on the latest generation 96kHz FPGA XCVI core, SQ sets a new standard for compact digital mixers, delivering pristine, high resolution audio with a class-leading latency of <0.7ms. Don’t get left behind. Discover SQ. Thank you for your enquiry. A member of the SRD team will be in touch shortly with a quote. The GLD series mixer is a comprehensive digital mixing ecosystem that marries a passion for audio quality with a beautifully elegant workflow. GLD has earned its stripes on rock tours, at iconic venues, in houses of worship and at flagship sporting events across the globe. Now in a new GLD Chrome Edition, with sleek new styling, Automatic Mic Mixing, new embedded plugin FX and new compressor models on all channels. We hold stock of both the GLD-80 and GLD-112 models. The GLD series is more than a mixer—it’s a complete digital mixing system. The dSNAKE Cat5 digital multicore together with the plug ‘n’ play audio racks and expanders make it simple and affordable to build the system as your needs grow. Are you intending to hire or purchase? If you are intending to hire how long would you like to hire it for? If you have any specific requirements or a message to accompany this form please enter it below. A member of the SRD team will be in touch shortly to discuss your enquiry further. Qu mixers have been designed to directly descend from the GLD and iLive digital mixing systems that have earned the industry’s respect night after night on tour and in live venues across the globe – so you can be confident that you’re standing behind a premium mixer that looks, feels, and sounds like a pro. Qu harnesses the full potential of digital mixing technology, with total recall of settings (including the all-important fader position and preamp gain), convenient recording and playback solutions, iPad control, personal monitoring options and the choice of local or remote Cat5 I/O.